Fabrizio Paladin is an award winning actor, playwright and musician who comes from the small town of Treviso, just outside Venice, Italy. With an expertise in Commedia dell Arte and improvisation, he holds a graduate degree from University of Bologna in Literature and Philosophy. He has worked with Aldo Sassi, Claudio Morganti, Luca de Fusco, and Commedia master Antonio Fava - a collaboration that took him as far as Honolulu and Tokyo. Fabrizio performs his original productions in Italy, and often tours throughout Europe and the United States. 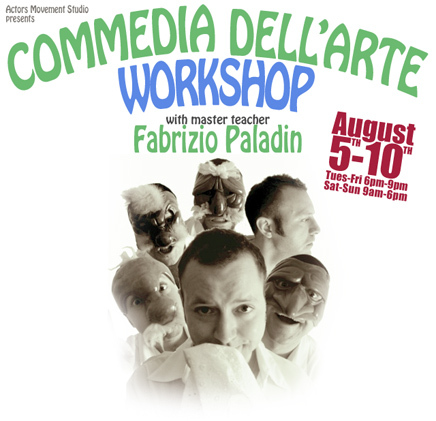 Master teacher Fabrizio Paladin returns to AMS for a 6-Day intensive workshop on the traditional art form of Commedia dell'Arte! Fabrizio will walk you methodically through all of the necessary techniques and understandings needed to effectively and authentically perform Commedia and create your own performances. You will learn the history of Commedia, how to work effectively with the masks, the essential shape and movement of the classic Characters, like Arlecchino, Columbina, and Pantalone, the stock Canovaccio (plot outlines), Lazzi (stage gags), the secrets of good comic timing. You will also learn the techniques to create Canovaccio of you own. About Commedia dell’Arte: Commedia is the famous masked comic theatre tradition which originated with groups of travelling players in Renaissance Italy. Known for its classic stock characters and scenarios, improvisatory style, comic gags, it was also one of the only outlets for political satire of the day, and also provided the first opportunity for women to perform on stage. 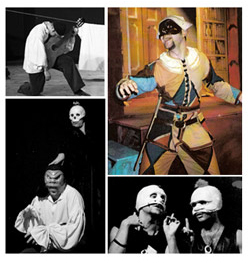 For actors, directors and teachers, Commedia dell'Arte is an invaluable skill, endowing performers with newfound control over their physical presence, adding clarity and power to their choices, freeing the improvisational spirit, and promoting listening and presence through ensemble collaboration. The influences of Commedia dell’Arte are felt even to this day and can be seen in the work of our greatest comedians on television, film, and theater, from Chaplin to Seinfeld, Buster Keaton to Jack Black and Jim Carey. Don’t miss this second chance in 2008 to work with master Fabrizio Paladin! This class will explore Michael Chekhov’s "psycho-physical" approach to acting, through the basic principles and exercises outlined in Chekhov’s book “To the Actor”, including psycho/physical exercises, character work and ensemble improvisation. Each class begins with a warm-up specifically designed to develop the organic connection between the actor's inner life, creative imagination and expressive body. Through the rigorous practice of Chekhov’s core exercises students will explore; Radiating and Receiving, Archetypes, Imaginary Centers, Imaginary body, Character Atmospheres, Overall scenic Atmospheres, Qualities of Movement, Imaginary Palace, and Psychological Gesture, along with on camera adjustments and more… Chekhov's technique consists of a wide variety effective acting tools, which can inspire endless possibilities for enlarging the actor's creativity and artistic expression - the actor can then bring this sensibility to the creation of a character, exploration of the text, and inspired performance. Michael Chekhov (1891 - 1955) was the nephew of the playwright Anton Chekhov and was widely recognized as one of the greatest actors of the 20th century. He was considered by Stanislavsky to be his most brilliant student. Indeed, Stanislavsky once said that if anyone wanted to know what he was teaching, they should go and see what Michael Chekhov was doing. Chekhov had a great talent for characterization and was a keen observer of the creative process. At the Moscow Art Theatre, the collaboration between Stanislavsky, Vachtangov, Meyerhold and Michael Chekhov led to a theater that was bold, expressive and imaginative. In their work they searched for objective principles that would lead to inspired acting. 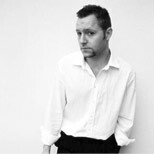 This investigation led Michael Chekhov to develop his psycho - physical acting technique, incorporating imagination and body. Chekhov was warned to leave Russia in 1928 at the height of his acting and directing career; his productions were too experimental for the Soviets and were labeled "alien and reactionary." He then spent eight years in Europe, acting, directing, and teaching, but was greatly handicapped by language, political factions, and the threat of war. In 1936, Beatrice Straight invited him to establish the Chekhov Theatre Studio, a training program for a company of actors at Dartington Hall in England. In 1939, the threat of war with Germany caused the group to relocate to Ridgefield, Connecticut until it was forced to disband because it lost its male members to the draft. 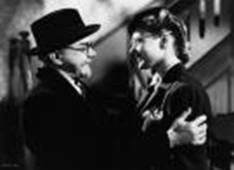 1942 Michael Chekhov was invited to Hollywood, where he became an acting coach to the stars, acted in many films, published his book, "To the Actor," and taught a group called The Drama Society. Prominent actors in Hollywood who studied with him were: Gary Cooper, Marilyn Monroe, Gregory Peck, Patricia Neal, Clint Eastwood, Anthony Quinn, Ingrid Bergman, Jack Palance, Lloyd Bridges, and Yul Brynner (who wrote the preface to Chekhov's "To the Actor.") Michael Chekhov died in Hollywood, California in 1955, before his work became widely known. Fitzmaurice Voicework is a comprehensive approach to voice training that can include, as needed, work on breathing, resonance, speech, dialects, impromptu speaking, text, singing, and voice with movement. While the training is specific, it is also compatible with other approaches. Physicality: we develop awareness of patterns of vocal effort through a series of gentle and/or rigorous exercises, accessing the body's own healing systems for deep release. Breath: we explore the central role that breathing plays in both voice production and the imagination, encouraging whole body oxygenation without forcing the breath. Vocal Quality: we cultivate the ability to accurately communicate our thoughts and feelings while meeting the demands of text, space, and the immediate moment, through both spontaneity and choice. Practical Results: we reduce strain in the voice, increase vocal range and expressivity, make speech easy and clear, and communicate intention more effectively, allowing creativity to flow. Vocal Rehabilitation: we can help to resolve many functional vocal difficulties. 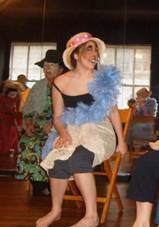 is Associate Teacher of Fitzmaurice Voicework and has taught at the Actors Center, Gate Acting Conservatory, NYU Playwrights Horizons and as guest teacher at Eastern Connecticut State University, Fordham University, Eastern New Mexico University, University of New Mexico and Sioux Falls University. She has taught in Germany at the Freie Universitaet Berlin and Berlin School of Performing Arts. Ilse holds graduate diplomas from the Royal Academy of Dancing and the Imperial Society of Teachers of Dancing in London. She received honors as a Pew Fellowship in the Arts Discipline Winner in Choreography and Dance - based Performing Art. Her work has been presented by Lincoln Center out - of - Doors Festival and PS 122 in NYC and Next Move Festival at Center, American Music Theater Festival, Movement Theater International, City Dances and PBS in Philadelphia. teaches voice and text to private clients in New York City, as well as around the United States and internationally. She has taught voice and text at Yale School of Drama, Harvard/A.R.T., the Juilliard School, NYU's Graduate Acting program, ACT, UCLA, USC, New York's Actors Center, London University, the Central School of Speech and Drama, in workshops and seminars, and in theatre and medical conference presentations for voice professionals. She is Professor of Theatre at the University of Delaware, where she teaches acting to undergraduates. Catherine's article, "Breathing is Meaning," describing the origins and methods of her approach to voice training, is published by Applause Books in THE VOCAL VISION, ed. Marian Hampton, New York, 1997; her article, "Zeami Breathing," is published in the Internet Journal, "Consciousness, Literature, and the Arts," Vol. 1, #1, March 2000, and in "The Voice and Speech Review," Vol. #1, August 2000; and her article, "Structured Breathing," is published in the VASTA Newsletter, Spring 2003,Vol. 17, #1. Jacques Lecoq believed in movement-based training for actors that would equip them to be playful, spontaneous and creative. 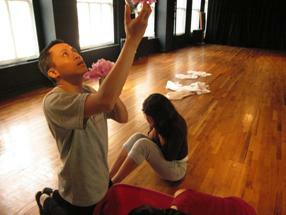 His training also holds that the generation of ensemble is crucial to a working process that is collaborative. His emphasis is on the actor-as creator rather than an interpreter of text. Lecoq work is somatic and openly connected to the spectator. It is through this visceral connection that events occur that can only happen in the medium of live theatre. This workshop will focus on “actor-centered theatre” – with the actor-as-creator and collaborator; by practicing the exercises and group explorations somatically; and, finally, by maintaining an open and direct relationship with the audience. Exploration into the 4 principle elements – water, fire, wind and earth with use of the neutral mask. Neutral mask encounters with unlikely elements. 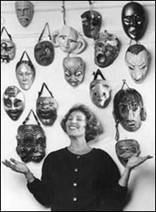 “Gestural Language”, silent and vocal, including figurative or transformational mime. “Profound Mimage” in connection with the genre, style and text of the summer intensive: for example, finding the inner gestures of primary Edwardian characters. • Transformation Exercise: A comprehensive hands-on introduction into the world of the mask. • Explore the Room: Further discoveries using the freedom provided in the mask world. 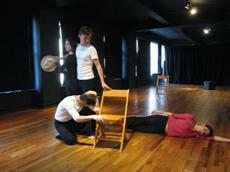 • Chairs: Integration of the full body and the mask. Using the breath and focus finding the elements that allow the body to speak. Choreography of grand moments of change from Shakespeare, Mythology, The Bible and Fairy Tales. This section utilizes the 3/4 or half mask with the actor's own mouth exposed. With the return of the voice, a vast array of characters that populate the classroom. Actor muscles flex and develop. Mime and Pantomime with BILL BOWERS offers an introduction to these art forms; include a brief history of Mime, physical warm-up, and movement improvisation. 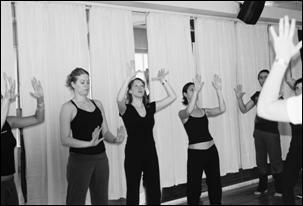 Participants will learn illusory skills, and have the opportunity to incorporate mime technique into their acting work. Ideally students will begin to gain an awareness of how pantomimic skill and corporeal style enhance and impact actor training. This workshop is open to all, movers and non movers. Please dress comfortably and be prepared to move. 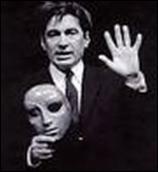 As an actor, mime and educator, Bill Bowers has traveled throughout the United States. His original mime shows, ' NIGHT SWEETHEART 'NIGHT BUTTERCUP and UNDER A MONTANA MOON have been produced Off Broadway to critical raves. "To watch Bill Bowers was to see the technical elements of a style that brings Marcel Marceau readily to mind, joined to the American West. Mime can be wonderful - the air between him and us was his palette." His Broadway credits include Zazu in THE LION KING, and Leggett in THE SCARLET PIMPERNEL. He has also appeared in New York at Ensemble Studio Theater, Here, LA MA MA, St. Anne's Warehouse, and the NY Fringe Festival. Bill's regional credits include Berkshire Theater Festival, Cincinnati Playhouse, Rep of St. Louis, Northshore Music Theater, Two River Theater, Arkansas Rep,George Street Playhouse, Montana Rep, PaperMill Playhouse, the Denver Center, Tennessee Rep, Seven Angels Theater, and the Eugene O'Neill Center. Bill holds an MFA from Rutgers University's Mason Gross School of the Arts, and an Honorary PhD from his alma mater, Rocky Mountain College.